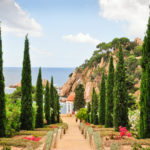 Straddling Lloret de Mar and Blanes, this small cove is a true slice of paradise on the Costa Brava. Between pine trees, rocks and crystalline water, enjoy an unforgettable day at the seaside in Blanes! 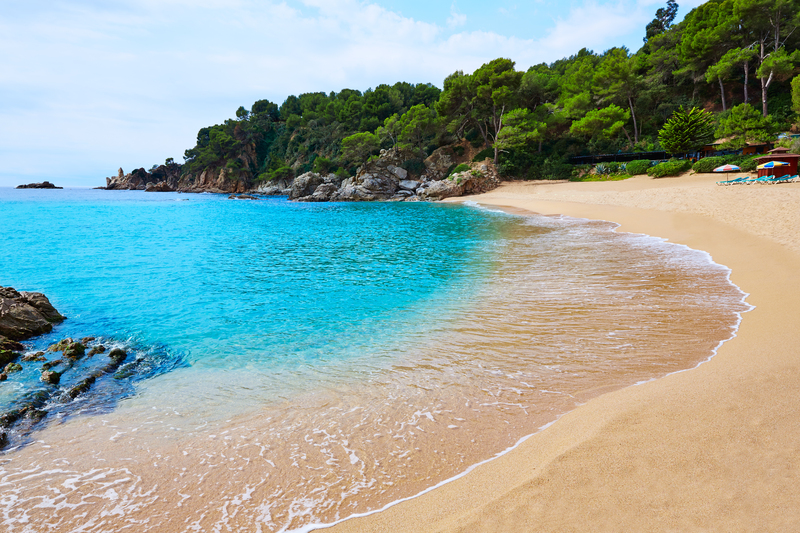 Come and discover one of the Costa Brava’s most beautiful coves! 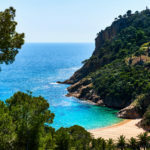 A hundred metres long, Cala Treumal is one of the smallest beaches in Blanes. 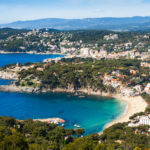 It is also the most northerly beach, located next to the famous seaside resort of Lloret de Mar and Santa Cristina beach. Bathe in an unspoiled setting at the heart of a Natural Park of National Interest. When you realise the importance of tourism in Spain, you will appreciate the act of bathing in the most intimate and authentic locations. Here you will be between pine trees and turquoise water, sheltered from the wind. At the foot of the Pinya de Rosa gardens, come and appreciate the wild and picturesque landscape of Cala Treumal. 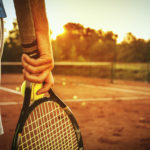 Do you need calm and relaxation during your next holiday? Rent a private villa on the Costa Brava and fully enjoy your stay at the seaside and in the sun. Check out the rental villas in Blanes. 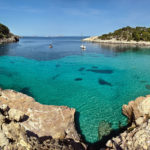 Although far from the tourist hustle and bustle of the large coastal beaches, Cala Treumal is easily accessible. 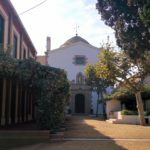 It is located a little over 3 km from the centre of Blanes, and a car park is available to tourists. After a short 300-metre walk on a well-made path, you will discover the charm and beauty of this cove in Blanes. The location is perfect for family bathing on the Costa Brava. The sea is calm here and quite shallow – and, above all, the beach is sheltered from the wind. There are also several tourist-friendly services here, such as showers, a hammock and parasol rental service and a small beach restaurant. So? Are you ready to set sail for paradise?